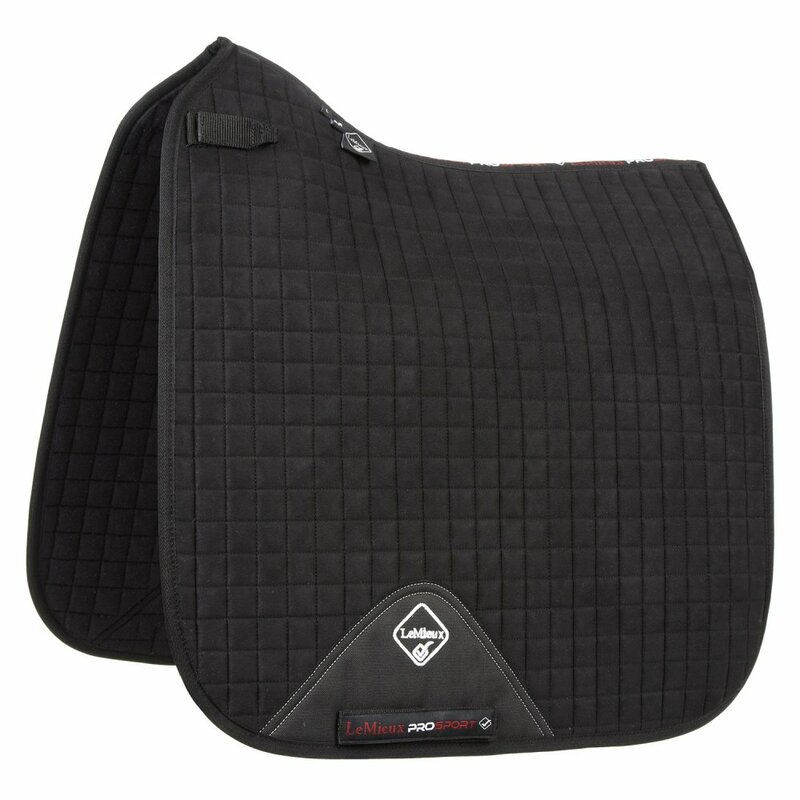 The LeMieux Pro Sport Suede Dressage Square has a very soft dense feel for the ultimate luxury on your horse's back. This stylish saddlepad has a suede outer with a towelling flannel underside to absorb sweat and minimise friction between the pad and back. The suede outer has a subtle sheen and LeMieux's signature girth protection area to reduce wear and tear in this high impact area. This dressage pad is also higher at the withers to reduce pressure and has double girth straps to reduce slipping. The LeMieux Suede Dressage Square comes in attractive working colours as well as white for competition use.